Add a beautiful, natural looking raised garden bed to any space! Sturdy and easy to assemble, the Chelsea raised garden bed can transform your yard from plain Jane to a beautiful, landscaped refuge. 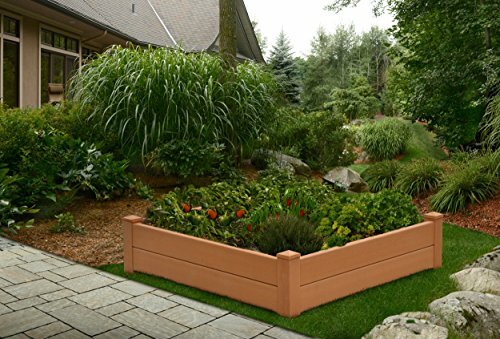 Frame It All 1-inch Series Composite Raised Garden Bed Kit - 8ft. x 8ft. x 11in.